I talked to the teacher, Jeannie, today. 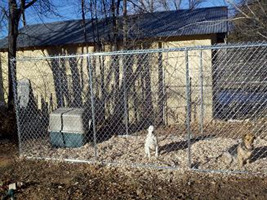 It looks like she'll be out until 2/13 at the earliest. I hope I can keep the momentum until then! It was a treat having all four kids from Friday through Monday morning. It was surprisingly less of a madhouse than you'd think, and there were many times when everyone played together exceedingly well. Saturday morning began with Emma dressing up Berry as her baby. Later they all became poor children, begging for money. We eventually adopted them and fed them crepes, which they ate with wonder and amazement. Sam eventually crawled out of bed and I stuffed him full of crepes and eggs. We then had a family outing to Supercuts, where they processed us efficiently in twenty minutes. Sam and I got a neat little cut, Emma has her bob back. Duncan had the most dramatic change, with his 2010 Justin Beiber haircut turning into a 2011 Justin Beiber haircut. He thinks he looks younger, and so he likes it. Everyone else thinks he looks older. We celebrated the blessed event with a trip next door to Metropol. The rest of the afternoon was pretty low-key. We played and hung out. Duncan went to a birthday party. Pizza and Mythbusters occurred. Sunday was eggs and bacon for all, followed by Joanna going to church. Emma and I taught Duncan how to play Forbidden Island. Sam and I played more Cortex Command, which is great but buggy. Emma went around making commercials and documentaries. Eventually we had lunch, which turned into a series of funny games. Joanna arrived and we went on a rather long trip to Toys R Us, the fish store, and the library. It was a little grueling, but Emma got some replacement fish for the one that died. Duncan ended up with Moshi Monster stuffies and stickers. Berry bought two pairs of princess gloves. I picked up my library book. The evening ended up with tacos, the series finale of Chuck, and waking up the next morning at 5:30 a.m., thinking it was actually 6:30 a.m. I don't think I've been so happy for a weekend in many years! We all worked really hard this week, with a lot of late nights catching up on housework and classroom planning. 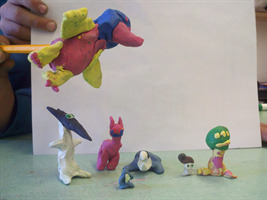 I gave my kids a little break on Friday and (after their spelling/math quizes) we did a claymation project. I showed them projects done by other students, and a Wallace and Grommet clip, then we broke into small groups so they could develope their own stories. After lunch we all went to the art room to play with modeling clay and create our characters. Overall, a lot more fun then the usual reading/math/social studies! Yesterday we puttered around the house while Robbie ran to Sante Fe to deposit our paychecks. Today we ate french toast, are getting ready to do a little cleaning, and then I'll be planning for the next week. Tomorrow it's back to work! 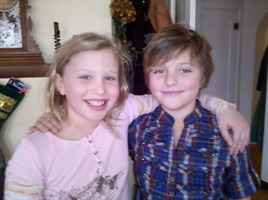 Sam and Emma are at their mom's, Duncan and Berry don't have school, and Joanna is staying at home. That freak set of occurrences led me to coming to work at seven in the morning, something I did for years before assorted responsibilities caught up with me. It's now eight and no one is at work yet. Sam didn't make it to school yesterday, though it sounds like Emma did. Jamie's going somewhere this weekend, so we'll have all four kids at home tonight. I don't think we have any particular plans, and a boring weekend at home sounds wonderful. I do want to take Sam out to get his hair cut, perhaps on Saturday. Okay, it's not quite that bad, but it does seem that everyone is sick these days. Earlier this week Duncan came home from school with stomach pain, and Joanna has been working from home as she felt pretty cruddy. Jessica was sick and we sent her home early. Yesterday Emma stayed home and Sam got sick at school, with Joanna picking him up. At the moment, Sam's sleeping and Emma's reading quietly upstairs. My stomach is a little funky, but I'm managing to work. It does seem to be the season. Sam's choir concert is tonight, assuming he can make it. We need to pick up his shirt from school at lunch today, and then his all-black outfit will be complete. It's still amazing that he can wear my shoes, though I'm still a little taller than he is, for a few months more at least. It's go-live morning at work, and I just successfully (I hope) finished getting things in place. I still have some work to do, but it's the culmination of nearly a year of work. It's nice to have it be so anticlimactic. 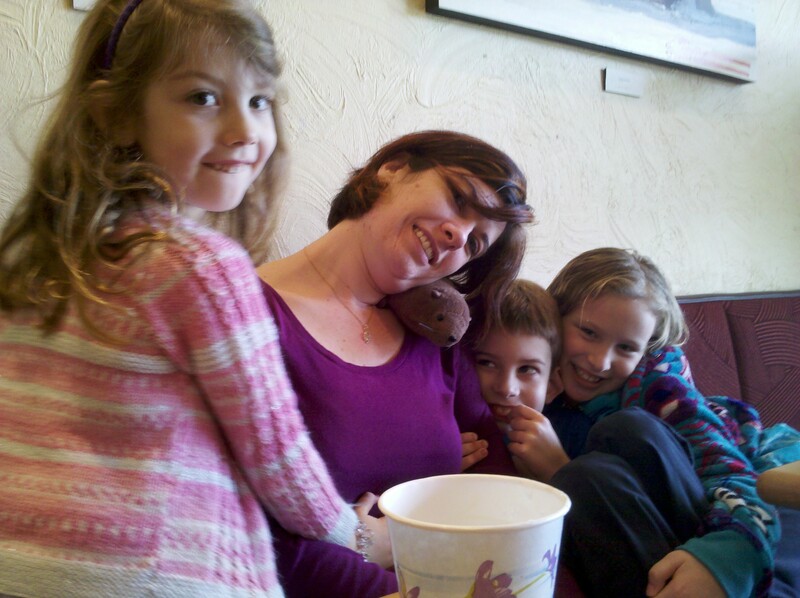 We had a far less exciting weekend, mostly hanging out with kids and celebrating Joanna's birthday. Friday night was our date night, going to dinner at the Campbell House and then to the Very Little Theater for a play. The first part of The Underpants was pretty good, if quite risque and quirky. The ending, however, was unsatisfactory. Maybe it was the madness-inducing red light and carnival like farwell. I picked up Emma from her mom's while still in my PJs, and we all sat down for crepes and goodies. I ran a lot of errands with Emma, picking up a new fish and tank for the misbehaving Chinese algae eater. We also hit the library and filled up the air swimmer I got for Joanna's birthday. I ended up giving it to Joanna early as I wasn't sure the Helium would stay. I also managed to set up the new motion sensing cameras, which have been dutifully reporting motion to my phone periodically. Sunday was Joanna's birthday, and lots of hang out time. Sam and I played a bunch of Cortex Command. I made everyone either walk or play Just Dance 3 for exercise. There was much playing with the fish, and the little kids put on a play where Berry was the minister between Nemo (the floating fish) and Emma's Barbie. It was hysterically fun. The evening wrapped up with pizza and Mythbusters, followed by cake. Now we're back to the normal routine. Hopefully the week will be relatively uneventful. Happy birthday Isabell and Joanna! What a wonderful day to be born! It's been a week and it's looking less promising that we'll recover the stolen jewelry. I just got off the phone with the insurance company and it sounds like mine won't cover Joanna's stolen jewelry. I think we'll end up getting a little from insurance, but not all that much. Mom has been great calling all the pawn shops and I may go on a pawn shop tour next week to see if anything shows up. On a happier note, Duncan and I celebrated our half birthdays yesterday. I got a couple shirts and he got a couple video games. Joanna arranged for goodies, and I saved half of my delicious bear claw to eat with my morning mocha. Tonight Joanna and I are going to dinner and play to celebrate her birthday. The latter sounds quite funny and risque. As for the weekend, I'm hoping to have a little downtime and work on some house projects. I continue to fiddle with the security systems, the first piece of which was installed last night. More arrive Monday, and hopefully we can adjust the sensitivity to keep the false positives to a minimum. 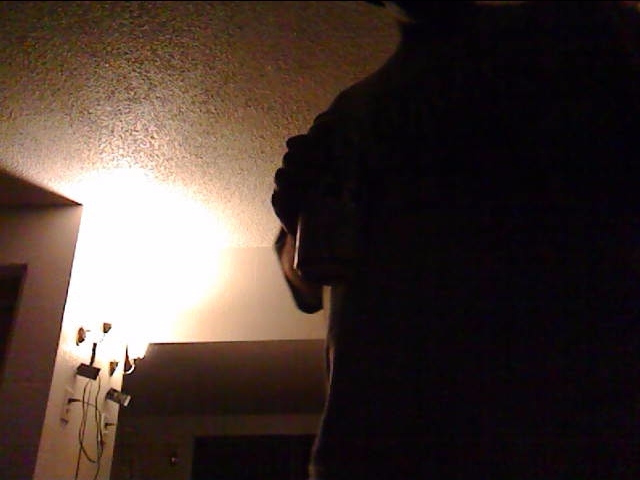 As it is, my webcam e-mailed me three times this afternoon. Sunday is Joanna's official birthday. There will be cake and presents. Tomorrow I hope to accomplish some secret projects in preparation for the big event. Sorry all if I'm out of touch for awhile. I will be substituting for the 3/4 grade at Dixon for the next 2+ weeks because of a medical issue the teacher is having. Love to all! We met with Peg at Mount Pisgah this morning, an exceedingly cheerful ex-OSU teacher who seemed almost as excited about the wedding as we are. 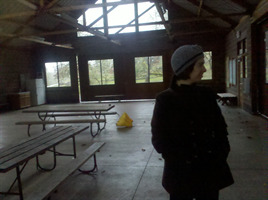 She showed us around the pavillion and facilities, which seemed wonderfully non-traditional. We did our best to imagine a warm summer day with full leaves on the oak trees, even though it was wet, windy, and chilly. Despite it all, I think it will be great and there will be lots of things for people to do, and interesting places for the kids to explore. I sicked mom on tracking down our stolen property. The detective we're working with seems to think it's completely lost at this point, but my mom has tenaciously been giving it her best. I figure we'll give it a few more days and then call the insurance company. Joanna's taken the last couple days off to get some downtime. Yesterday she spent part of the day watching the Dresden Files on Netflix and knitting, cooking baked oatmeal, and getting acupuncture. Today she's been running a lot more errands, but hopefully had a few moments to take it easy. I'm looking forward to Friday and taking Joanna out on a birthday extravaganza. Should be fun for both of us. John's family will be arriving this afternoon from Boston and Seattle. We'll have almost a week of fun and adventures. We plan a lot of different activites and are relieved the weather yielded rain versus snow. After they depart I'll be leaving for Honolulu from February 1-9th. Sorry to miss the next family dinner but I'll be roughing it at Waikiki! Aloha for now! I think we're all still recovering after the weekend madness. Joanna's taking today off and I'm busy relaxing at work. Though there were lots of things I could have done related to the burgulary, I spent most of the time watching kids and relaxing while Joanna worked from home. We had a light dusting of snow yesterday. 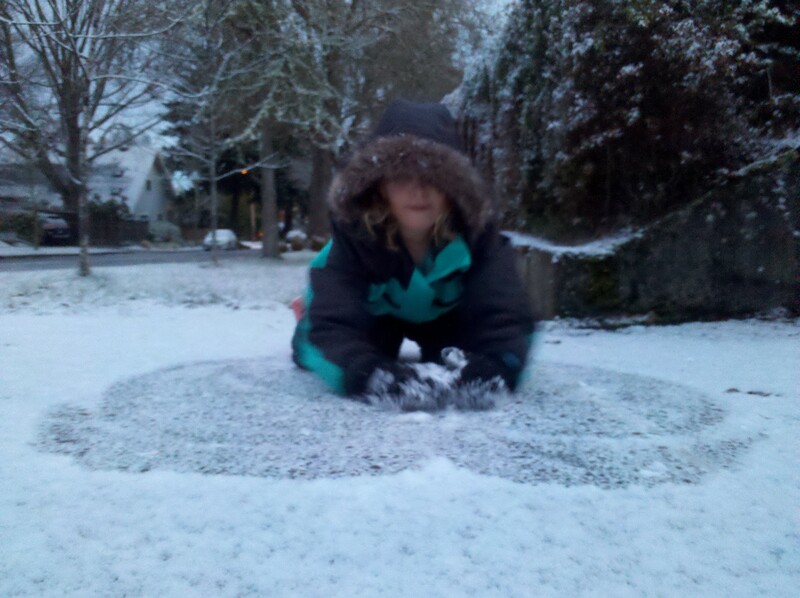 Emma and I tromped out early and made tiny snowpeople and slid down the hill. I called Emma back in for crepes, and then all the younger kids and I went out to play as long as we could. Sam eventually stumbled out of bed, looked outside funny, and went to his computer. The day was pretty low-key. Emma and Berry at one point created a spa that gave out back rubs. I got my feet slathered in lotion for a dollar. Sam and I worked on his game, getting the build buttons to work and our first NPC that wandered around randomly. Sam was terribly excited. I helped Duncan with texture packs for Minecraft. All three little kids watched a little too much Sonic. As the afternoon rolled around, Jessica came over. Sam, Emma, and I went hiking in the woods at Hendrick's Park. I tried to get them with my best riddles, which seemed to go over well. Eventually we returned home to a dinner of eggs and chips, getting kids to bed, watching some shows, and collapsing to bed ourselves. School was on today, but rumor has it we'll get a couple inches tonight. I may be working from home tomorrow. It's the end of the day, we're getting kids to bed, and I'm pretty beat. The day started early, feeding kids, and heading to Florence to talk to detectives and get our things. We were met by a very nice officer who led us into the back to sort through all our things. There was a pile of security outfits that we immediately declared wasn't ours, along with some big metal cutters. What was ours, however, was an awful lot of computers, jewelry, and Joanna's guitar. We didn't find the most valuable jewelry, though. There were some loose stones that had been pried out of the rings, likely to sell the metal. At this point, our hope is that we can identify who they sold it too. I'm hopeful we'll know on Monday, as Lane County is required to identify the people selling their stuff. We took a break for lunch and then went back to the police station to talk to the Eugene detectives. They'd come out to fetch the suspects, who were evidently implicated in multiple other crimes. There was lots of paperwork, pictures, and some questions about how the Prey software worked. We made it home with tired kids. I started the forensics on the computers and discovered the break-in was around 9 a.m., they turned on the computers again at 3:30 p.m. until 4:45 p.m., and turned them on at the motel at 9 p.m. Jamie came over to pick up Sam's computer. Jamie talked to her parole officer friend who thought the suspects would talk and try to cut a deal. That would be nice, as at this point we just want to recover the jewelry. I'm hoping tomorrow is more low-key. We're reviewing security procedures and likely installing cameras. Sam's coming over and rumor has it there will be snow the next few days. Could be fun. Last afternoon, I got a call from Jamie, asking if Sam's computer had been moved. She was picking it up for him from our house and couldn't find it. One of the odd things she mentioned was that the door to the garage was propped open with a pillow. It sounded like a break-in, so I drove home immediately. Sure enough, our house had been ransacked in an organized fashion. Four laptops, two netbooks, all the jewelry, Joanna's guitar, and a few other things were taken. I knew Sam's laptop had Prey installed, tracking software that phones home and says where the laptop is. Jamie got Sam out of school early, we logged into his account, and then we waited. Joanna came home, the police arrived, and Jamie helped keep an eye on Emma as we scurried around changing passwords and taking an inventory of what was stolen. I turned on Prey, but got nothing. Eventually, everyone cleared out. I took Emma to get her prescription cough syrup at Rite Aide, picked up dinner at Tasty Thai, and got the kids to bed. Joanna and I moped about and watched an episode of Doc Martin. I'd been checking Prey to see if the laptop had been turned on, but it wasn't until afterward that they finally did. The webcam picture was terrible, but the IP address located them in Florence and the wifi data gave us the name of the hotel. I called the Eugene police, who told us to call the Florence police. They were super and drove out to the motel to take a look. We got a call back that they had the name of two suspects in a truck that just checked in from Springfield, but they'd just left. All this time we kept checking Prey and only had the one report. Eventually we got to bed, wondering what would happen next. We were woken up at 1:30 a.m., asking us to describe the laptops that I think were in the truck. One was a Dell that wasn't ours, but the unique Alienware computer was definately Sam's. They called back later when they were going through the room, and started describing all sorts of things, including some we hadn't realized was taken. The one thing they couldn't find right then were the more valuable rings, some from Joanna's family and some from mine. The plan is to eat breakfast, make brownies for the police, and drive over to Florence to recover our stuff. With luck we can find the rings, either there or at a pawn shop with a shady reputation that was mentioned. It's a good day to be a nerd. I'm almost finished with my delicious mocha, my second in two days (yesterday was a "Just Because I Want To" Mocha). I'm strangely excited for work today, perhaps in part because a three day weekend awaits me. I'm looking forward to hanging out with kids and getting ready for Joanna's birthday party. Yesterday I picked up the last two adjacent tickets to a show that looks particularly awesome. Not to freak out Joanna (who will certainly read this), but there was a note on the ticket booth explaining how the costumes were inspired by Steampunk and what that means. I had to hide my glee. The week continues to be quiet. Sam, Joanna, and I are on a How I Met Your Mother kick. I picked up Emma from her mom's house and fixed Emma's computer while I was there. She's still a bit sick, but hopefully on the mend. Last night we had breakfast for dinner, which was as delicious as it sounds. Sam's off tonight and tomorrow. Joanna is indulging at the spa for three hours in the late afternoon. I plan on getting the kids to help prepare from Joanna presents and maybe the girls and I can all make dinner together. I taught Berry how to make crepes the other day and she's been really wanting to do it again. All the wedding stuff is getting really exciting. We take a tour next week. I booked the hotel for the evening. The tentative plan is that we sneak away that night and return for breakfast. Seraph - perhaps you can spend the night and supply Isa for Emma's entertainment? We'll have a familiar babysitter for Duncan and Berry, though you may need to wrangle kids slightly in the morning. Anyway, lots to sort out, but it's all fun stuff. It's been a low-key week so far. I had a text exchange with Emma this morning. Evidently she's still sick, though continues to go to school. Sam managed to get paint on his new hoodie in painting class, though a bit of work got it out just fine. Joanna's ankle continues to ache, though it's slowly on the mend after assorted PT visits and lidocane patches. Duncan and Berry continue to be their usual, (mostly) cheerful selves. This morning Berry wouldn't eat her crepe until it was made more perfectly round. Sam has a choir performance happening later this month. A three-day weekend is coming up. Joanna and I continue to juggle our finances and try to figure out how to afford a wedding. In any case, I think we have Mount Pisgah on June 20th nailed down and it should be reserved after we plunk down some cash. And that concludes my stream-of-consciousness update for the morning. We had a busy weekend that left us all exhausted. Last Thursday I had my first subbing gig at Dixon Elementary. I was filling in in the 3/4 grade class and had a blast! The fun carried over into Friday when the school had their first ski trip of the season (there will be 4 trips in all). I drove Isabell up to Sipapu, where we met up with the school bus (Robbie came up on the bus). The first visit is always chaotic, and this was no exception! After an hour or so, everyone finally had skiies, tickets, and lessons set up. Once all the kids were off, I took Chester (the new puppy) for a hike. She had a great time tromping through the snow and getting loved by all the guests. After the ski trip Isabell's friend Gennys stayed over, and they played all day on Saturday, while Robbie and I made a dump run and constructed Chester's new kennel. By the end of the day we were happy but tired out! Unfortunately we did not get much sleep that night because Chester was barking and whinning outside. I'm amazed none of the neighbors complained! In the morning I got up early and took both dogs for a walk so Robbie could sleep in. Several cups of coffee didn't help much. We set out to take down and store all the Christmas decorations. We were all so tired and grumpy, and there were more than one tear shed and voice raised. Things settled down in the evening. We all watched the show Sherlock then headed to bed. Thankfully the puppy did much better (I think she liked her new dog bed) and we all slept better. This mroning was rough, and Isabell ended up staying home tired/sick. Now there's chili on the stove and cornbread ready for the oven. I'm hoping it will be a calm relaxing evening. I'm back at work after a low-key weekend. Emma was pretty sick all weekend, and so we mostly hung out at home and took it easy. 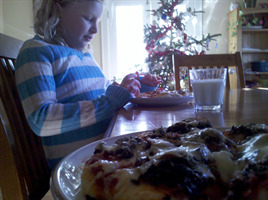 There were highlights, such as playing charades with Sadie over the webcam, watching Joanna gleefully fill eggs with soil and seeds, and our traditional pizza and Mythbusters. Last night I went down to check on a crying Berry, who had to explain her bad dream about apples and her Nintendo DS that I didn't follow. Of course, this interrupted my dream where I was Batman fighting dinosaurs, so I couldn't exactly complain about her weird dreams. We had a somewhat productive weekend, especially with regards to taking down all the Christmas decorations. We had a lot, so it took most of the day. Emma also went to pick up some new fish at the store, and we returned with five neon tetras and a ghost shrimp (named Casper). Sam and I put some work into coding his game, and we got to the point where he could click a button and drop rocks down on the map. While it doesn't sound impressive, it was an epic journey of math and research to get there. We dropped off the kids to school today, including a somewhat sick Emma. She still has a cough, though she seems on the mend. Hopefully she can get through the day. I finished up Batman: Arkham Asylum a month or so ago, and recently finished the sequel Arkham City. I think it's one of my top games of the year, which seems odd as the "fighting game" genre really isn't my favorite. I think it's because it's loaded with all manner of other gameplay elements, from stealth to detective work to puzzle solving. The characters are traditional over-the-top DC comics characters. Roaming through Arkham City under the light of the full moon really makes one feel like the Dark Knight. Plus you can play as Catwoman occasionally, and she's fun to look at. It's Friday morning, my mocha at my side and a long to-do list awaiting my attention. The last few days have been relatively uneventful, if busy. Emma's still sick and staying home from school. I'll see her tomorrow morning. Sam's had homework in the evenings, and then we'll settle in to watch a show or two before bed. For the most part, Duncan and Berry have adjusted to life at home again. Duncan had a moment of sadness before dinner last night, talking about all the normal stuff kids of divorced parents do - why can't he spend half his time with his dad, why is he so far away, why aren't his parents together. I think Joanna handled it fairly well, reassuring him as best she could. It sounds like Kevin may move to Oregon late this year, and perhaps more frequent visits will get easier. Duncan and Berry did watch Star Wars over the break, and have suddenly become enamored with it. The other day, Berry was asking Jessica how to spell lightsaber, and Duncan has been reading through the various Star Wars books at his school. Berry did wake me up the other night to tell me her dream about guns with great excitement, which was a little odd. I still remember how Sam seemed a cute and peaceful boy until he watched Star Wars. Then it was all about chopping off limbs with lightsabers and blowing up Death Stars. Ah, how quickly innocence fades. Joanna and I are going out to Off the Waffle tonight, going over the various plans of the year. The summer may end up being fairly exciting, what with weddings and trips and such. If we have time, we might go listen to music at the library, plus I can pick up the next Pendragon book for Sam. I'm looking forward to some hang out time with everyone. I miss my vacation already. I'm back to work after a lovely five days away. For much of the time it was just Sam, Emma, and I after Joanna went off to pick up the kids. Emma started to get a cough, and Sam isn't quite better from his, so we generally took it easy. It was admittedly quite nice and relaxing and quiet, if a little lonely. Emma missed Duncan and Berry quite a bit. Joanna arrived last night, exhausted, with Berry and Duncan in tow. Emma and I had gone to Toys R Us and she picked up some Moshi Monster figures to share with them. Emma put together a little snack/treat bag, we headed to the airport, and scooped them up. The rest of the night was a whirlwind of dinner, opening Santa presents, and getting everyone to bed. Today I took a sick Emma to Jamie's to recover. Evidently she watched a lot of School House Rock. I got Sam out of school early to get his teeth cleaned. Mom - all of his teachers loved his Stormtrooper t-shirt. Good job. I'm looking forward to life settling down again after the holiday excitement. We made it home sfae and sound. Robbie is off to a training this morning and Isabell is sleeping in. I'm now catching up on a weeks worth of ignored e-mails and work projects. We had so much fun visiting with everyone this vacation! I can't wait to see you all this summer! We picked up this funny ceramic egg in San Francisco's Conservatory of Flowers. You crack it open, add seeds, and plants grow out of it. Emma loved it. I liked the idea so much that I made my own. I took carefully cracked eggs, some soil we had laying around, put it in an egg carton, added chive seeds, labeled them, and set them in the window sill. 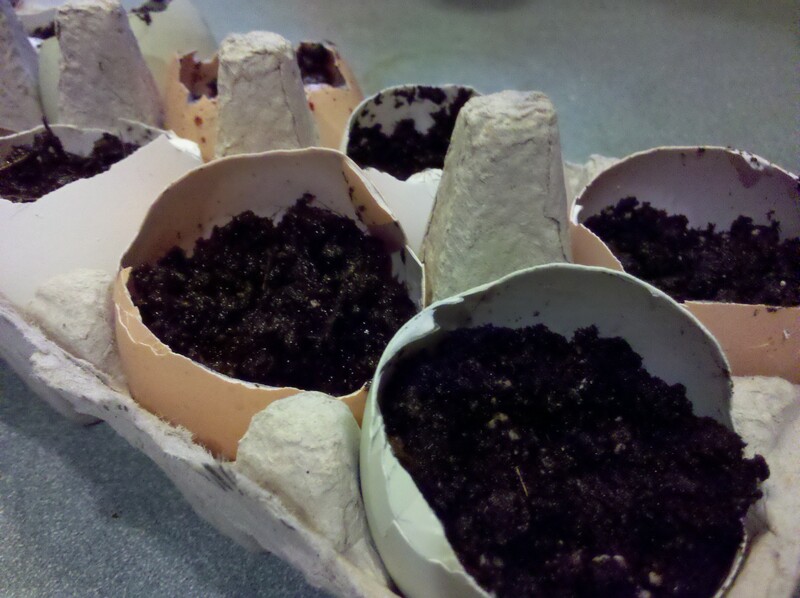 Now I'm excited to see them sprout. It's the first of the year, and it's quiet. Joanna is off in Rochester to fetch Duncan and Berry, and Sam and Emma are sleeping away. I let Emma stay up "until midnight" (east coast time), and she conked right out when I put her to bed. As for me, I evidently don't sleep very well with Joanna away. For some reason I woke up around 4:30 a.m. and have been playing Batman: Arkham City, ridding the world of crime. The last few days were pleasant and uneventful. 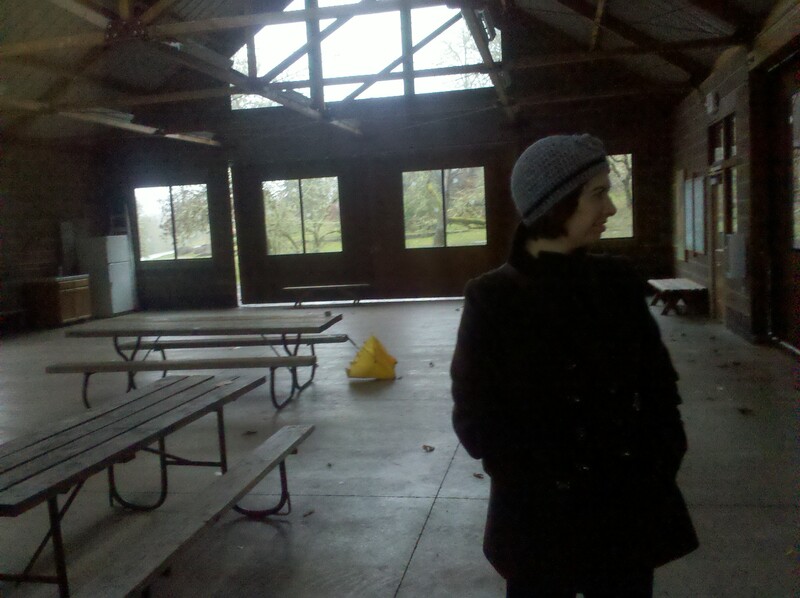 Joanna and I went to the Granary, ate wonderful pizza, and listened to this great singer. Thursday we stayed home and made mushroom soup. I took Friday off work and the kids and we hung out with Seraph, Robbie, Isa, Jenny, and Jordan. Yesterday morning I woke up at 3:30 a.m. with Joanna to get her ready for her trip. I puttered around with the kids, got Isa and Emma playing, and ended the year at Jenny's house where everyone played Just Dance. The next couple days are pretty quiet until Joanna returns and work/school starts again. Sam wants to focus on his new game project, a Java-based 2D building RPG. I'm going to make him do as much programming as I can manage. I suspect Emma just wants to watch Futurama. I'm going to get both of them doing something physical along the way, and maybe hit up the library.